The Peregrine Falcon is a versatile high-speed hunter, stooping on its prey in a power dive. It is a raptor of cliffs and of mountainous country. 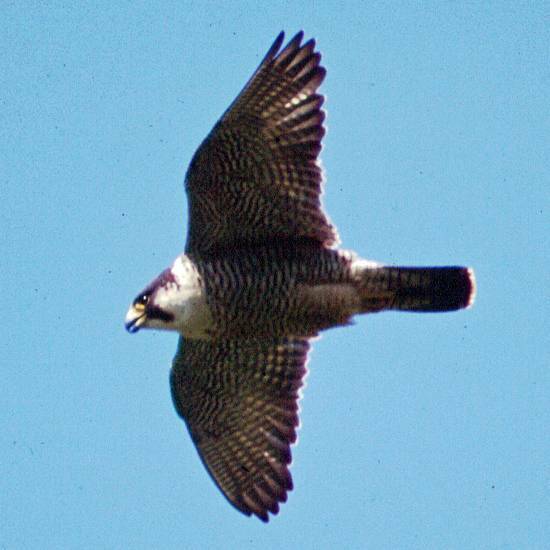 In the Teifi Valley in Wales, for example, Peregrine Falcons are most frequently to be seen near the headwaters at Teifi Pools and around the cliffs of Gwbert-on-Sea. 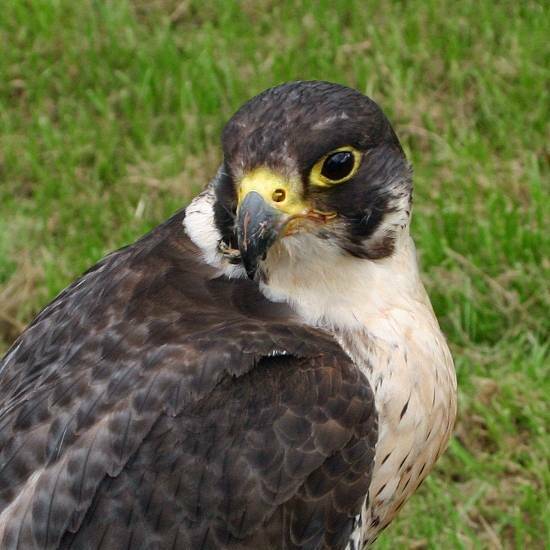 Gulls, pigeons, waders and many other birds are preyed upon by peregrine falcons. The male (or tiercel) and the female are similarly coloured, but when together they are easily distinguished: the female is a lot bigger than the male, as is the case with most raptors. 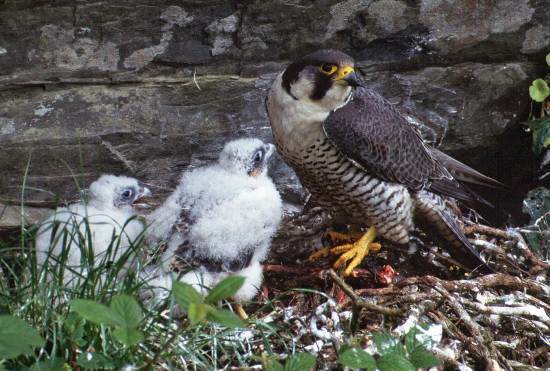 Peregrines are resident birds, so you can see them in Britain all the year round. Often they will move down onto moorland or marshes if we get a harsh winter. They nest on inaccessible ledges of vertical rock faces using little or no nesting material. Occasionally, peregrines use old raven or gull nests. The female does most of the incubation, while the male brings in the food. Their two to four eggs hatch usually in May; the male will then pass prey to the female, who feeds the young at the nest.